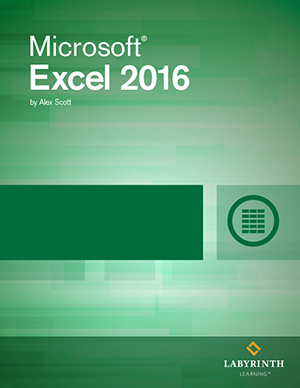 Microsoft Excel 2016 - Level 1: This introductory guide will equip new students with an overview of Excel basics, providing a beginner level foundation of the application. DELIVERY OPTION: This is the ebook license code for our new 2016 Excel Level 1 courseware. Does not include Printed Textbook.